Michael Jackson’s family has hit back at Leaving Neverland, the four-hour documentary detailing alleged child molestation by Jackson that’s thus far the biggest story coming out of this year’s ongoing Sundance Film Festival. Early word is that the documentary, which is centered on sexual abuse allegations from Wade Robson and James Safechuck, who both met Jackson as children, could very well alter Jackson’s posthumous image beyond repair. “It only takes about two minutes into the four-hour documentary Leaving Neverland to realize that Michael Jackson’s legacy is never going to be the same again,” wrote Benjamin Lee in his review for The Guardian. 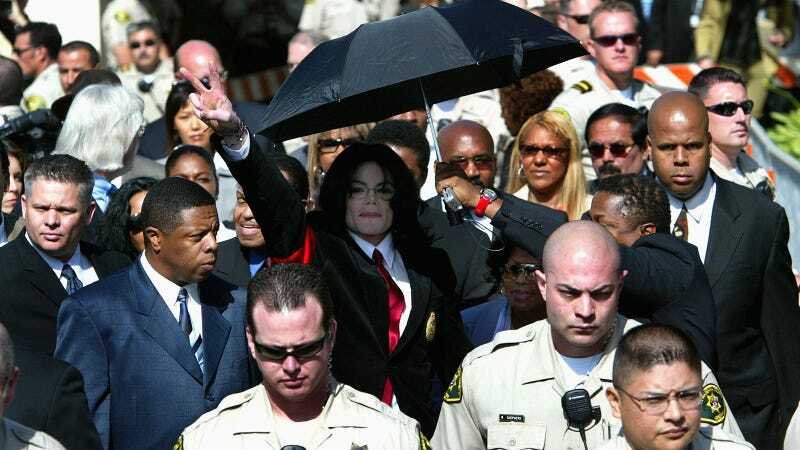 Soon after the doc’s Friday premiere, Jackson’s estate issued a statement, denouncing Leaving Neverland as “the kind of tabloid character assassination Michael Jackson endured in life, and now in death.” “The film takes uncorroborated allegations that supposedly happened 20 years ago and treats them as fact,” added the estate in a multi-paragraph response to Rolling Stone. Now, Jackson’s family has issued its own statement, hitting back at the media for picking up reports coming out of Sundance about the damning nature of the documentary (sample tweet, via IndieWire’s David Ehrlich: “spoiler alert: Michael Jackson 100% sexually abused a lot of children...”). “Michael Jackson is our brother and son. We are furious that the media, who without a shred of proof or single piece of physical evidence, chose to believe the word of two admitted liars over the word of hundreds of families and friends around the world who spent time with Michael, many at Neverland, and experienced his legendary kindness and global generosity. We are proud of what Michael Jackson stands for. Jackson supporters began flooding the mentions of Sundance attendees Friday with fan-made videos (like this one) that they say demonstrates Jackson’s innocence. They include clips of Robson denying he was ever molested by Jackson. Leaving Neverland will air this spring on HBO.